There are many resources across the internet to help you put together a Book of Centuries. 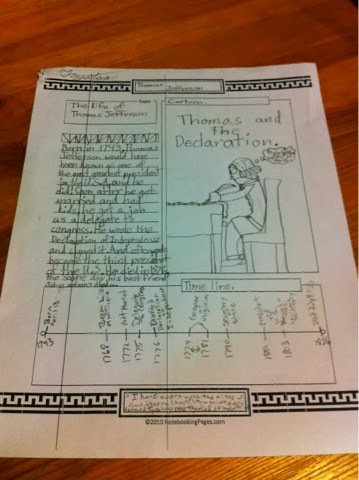 As a Charlotte Mason educator, this is a weekly work item for my children, and I have also incorporated it in my history classes at homeschool cooperative, as well. The basic concept of a Book of Centuries is to learn, determine and record the important events of history, in chronological format. The idea of a Book of Centuries page is to reflect, on one page, a set time period. A good page entry should depict events sequentially, adding facts and pictures to make a beautiful snapshot of history on the page. 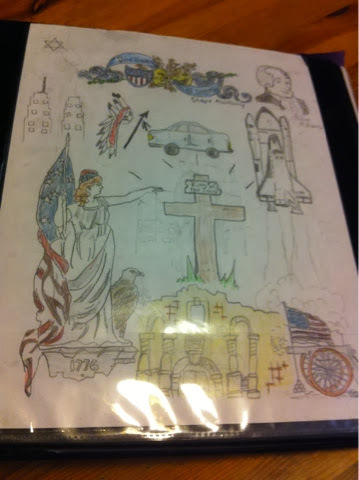 This enriching activity helps students to grasp the chronology of the time period in history they are studying. 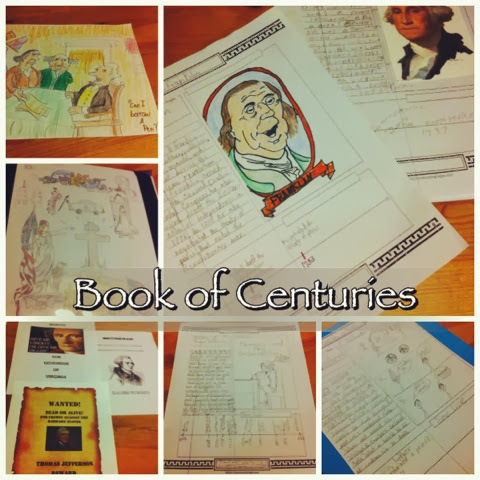 We utilized Notebooking Pages' Book of Centuries pack for many of our entries. It is convenient and easy to print out the pages that my students need, and it gives a consistent uniform look to our Book of Centuries. 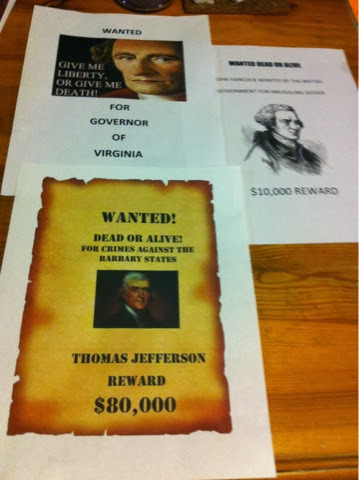 Wanted Posters: The above photo are the Founding Father's Wanted Posters from our 1st Semester History Projects at co-op. 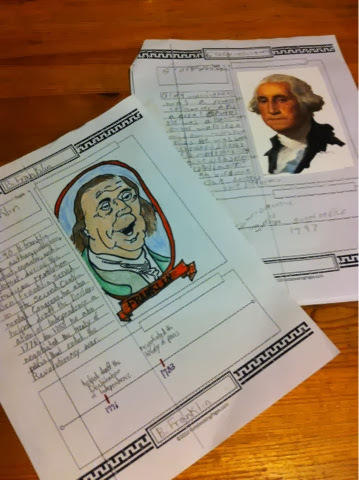 Biography Pages: Learning about the life of a man or woman that lived during the time period you are studying, is a profound and important tool in history. When children connect with an individual, either by admiration or loathing, the door swings wide for true learning and loving that historical moment in time. Political Cartoons: Studying political cartoons and devising your own humor of historical events or persons adds fun to any Book of Centuries. Cover Page Contest: We actually had a competition to see who could create the best Cover Page at homeschool cooperative and the teachers voted. The picture above was our 2014 winner . . . never mind the winner just happened to be one of my kids. 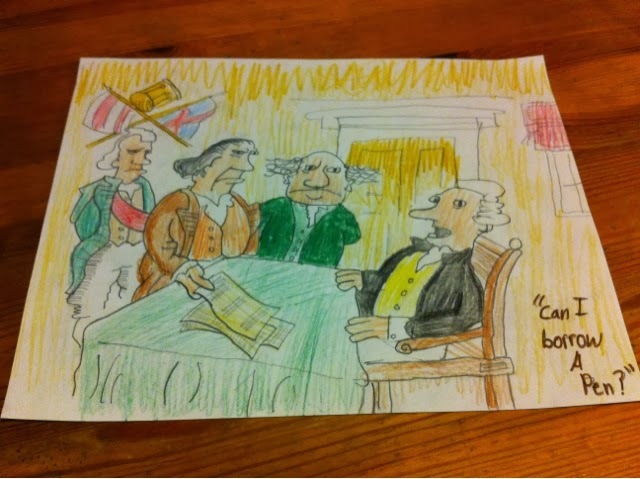 Have you tried using a Book of Centuries in your homeschool yet?